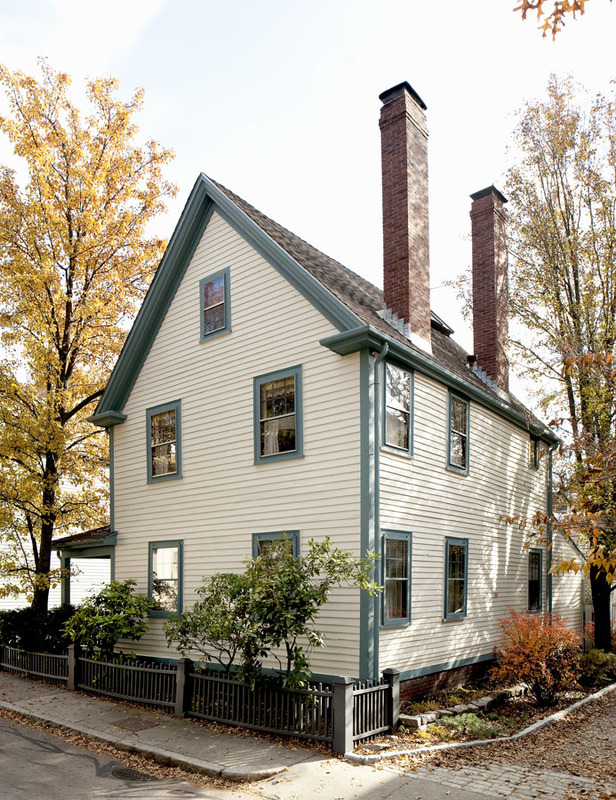 One of the oldest houses in Brookline, Massachusetts, is the eighty-fifth privately owned historic property and the first property in Brookline protected through Historic New England’s Stewardship Easement Program. Some of the most significant items protected through the preservation easement include timber framing with decorative carving, early floor boards, an early door with seventeenth-century hinges, and an early plaster wall with wallpaper fragments. During David England’s ownership the seventeenth-century framing of the house was uncovered establishing its early date of construction and later work by the Oxford Dendrochronolgy Laboratory indicates that the house was built in 1683. It is an important example of seventeenth-century architecture in eastern Massachusetts. The house is located in a National Register district, but Mr. England sought this additional layer of protection to prevent demolition and protect existing exterior features and early framing from insensitive alteration. Learn more about Historic New England’s Stewardship Easement Program.